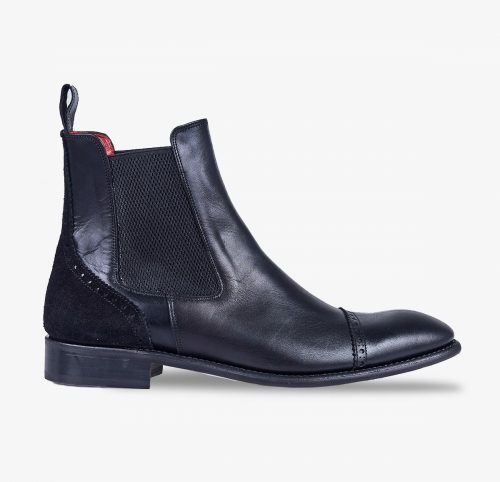 Black Chelsea style box-calf leather half-boot, combined with black suede in the heel pad. Finished with a leather and rubber sole for greater comfort. It features elastic bands on both sides, guaranteeing great comfort, and making this boot easy to put on and take off. Made of natural full-grain leather, and lined with black bovine leather. It presents elastic bands on both sides, guaranteeing great comfort, and making this boot easy to put on and take off. 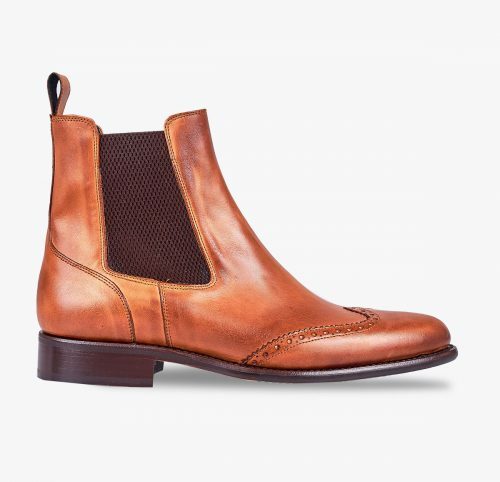 Oxford style half-boot with straight toe made of Cordovan engraved tobacco coloured leather. Finished with an ultra-light, brown rubber sole that provides comfort and stability. The shoe presents a classic and timeless style. 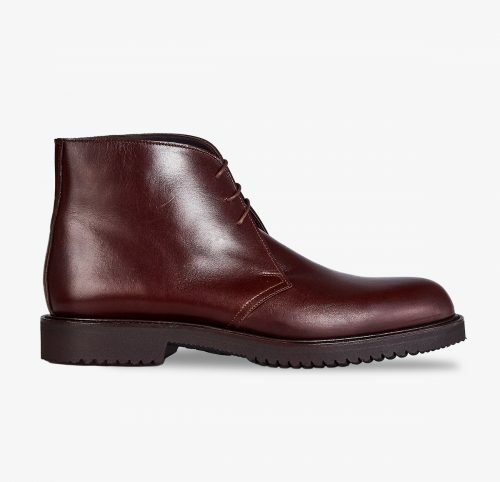 Plain, laced box-calf leather half-boot up to the ankle, chocolate coloured. Finished with an ultra-light brown rubber sole that provides comfort and stability. 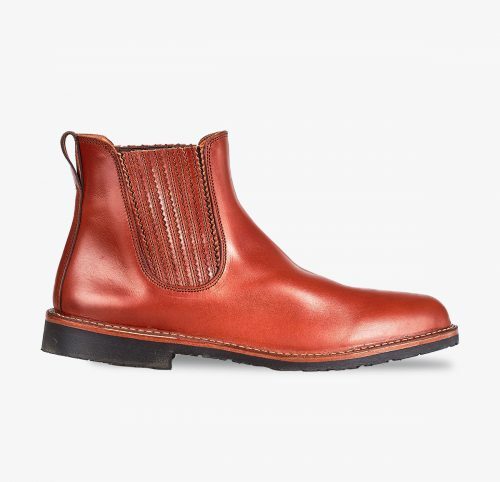 Classic half boot made of natural vegetable tanned bovine leather, with an elastic band design. Lined with soft, orange deer leather. Finished with a rubber sole for greater comfort. Buckle half-boot made of dark bovine greased leather. Finished with a leather and rubber sole that provides elegance and comfort. 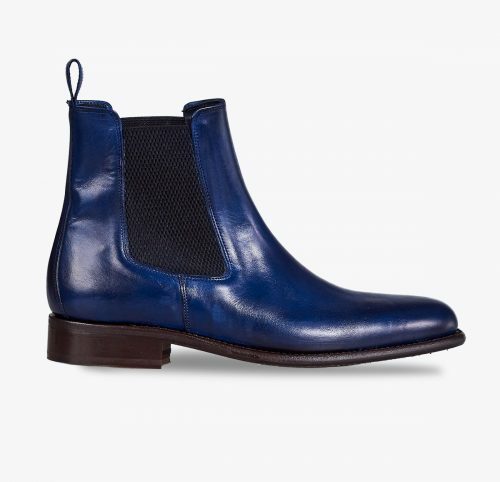 The shoe presents a timeless design and is also used for horse-riding. 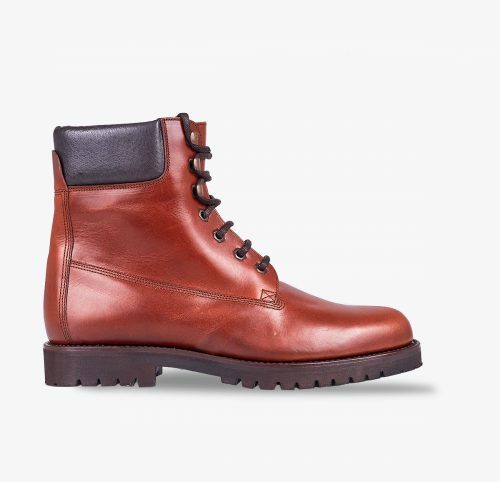 Robust half-boot, designed using vegetable tanned bovine leather. It features foam reinforcements for the ankle to provide greater comfort. Fastened with stitched leather laces. Finished with a rubber sole and insole, to provide greater protection against water; better durability and resistance. 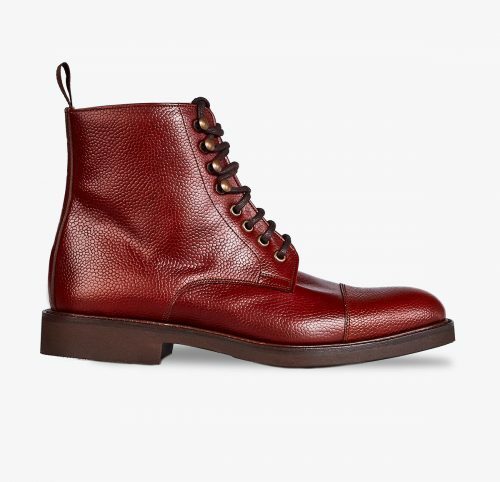 This combat boot is the perfect shoe for the winter season. 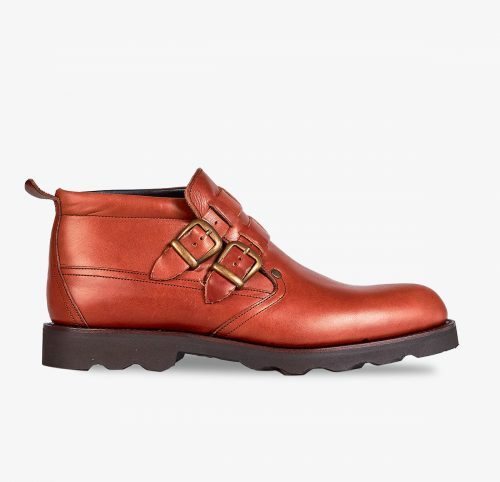 Robust half-boot with a double belt and buckle. Made of vegetable tanned natural bovine leather. Finished with a rubber sole and midsole for greater protection against water; better durability and comfort. Half-boot Texan style with lateral zip fastener. 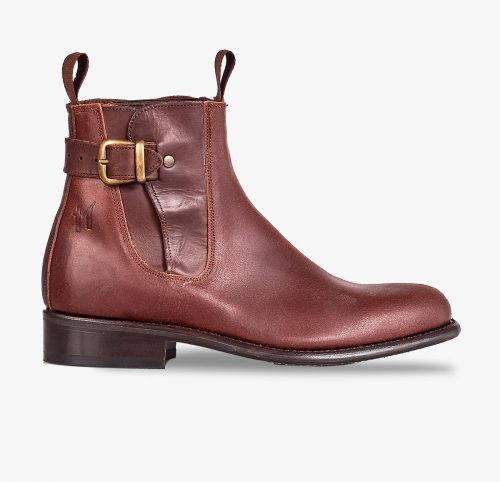 This boot presents a classic and timeless design. Elegant half-boot, Texan style with lateral zip fastener. 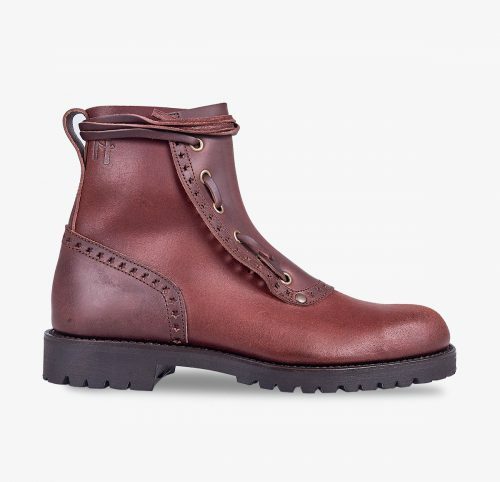 Made of engraved brown bovine leather and red leather lining. Finished with a leather and rubber sole that provides greater protection and comfort. 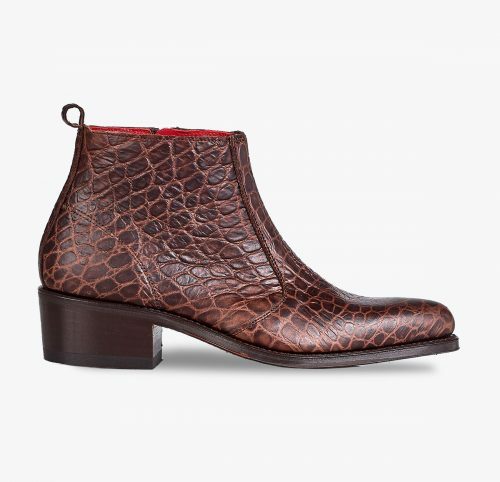 The perfect boot with an exquisite design for your everyday look. Laced, hunting half-boot, adapted to urban lifestyle. Made to top quality standards using dark, greased bovine leather. It features an original fastening system from the mines in Cantabria with flat laces made of greased bovine leather, fastened around the ankle. Finished with a rubber sole and insole for greater protection against water as well as greater durability and comfort.